Marguerite W. Miller, 88, 1231 N. Main Ave., Sidney, Ohio, died at Wilson Memorial Hospital on Thursday, May 18, 2006 at 9:54 PM. She was born February 20, 1918 in Sidney, Ohio the daughter of Joseph Gordon and Effie Belle (Miller) Wead. She was married in March of 1963 to Carl John Miller and he died August 14, 1975. Surviving are one son, John Gordon Miller and his wife Jayme of Sanford, North Carolina; several cousins; one sister-in-law, Mrs. Don (Eileen) Lutz of Tipp City, Ohio. One sister, Helen Kerbs is deceased. 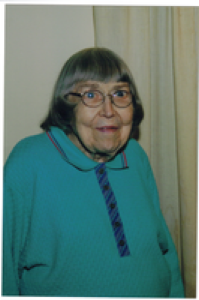 She was a 1935 graduate of Sidney High School and a member of the First Presbyterian Church in Sidney. She was a homemaker. Funeral services will be held on Monday, May 22, 2006 at 10:30 AM at Salm-McGill and Tangeman Funeral Home with Rev. Timm High. Burial will be at Graceland Cemetery, Sidney, Ohio. Friends may call at Salm-McGill and Tangeman Funeral Home on Monday from 9:30 AM until the hour of the service. Memorial contributions may be made to the charity of one&#39;s choice. Envelopes will be available at the funeral home.